To reduce pollution by promoting alternatives to conventionally fueled automobiles. 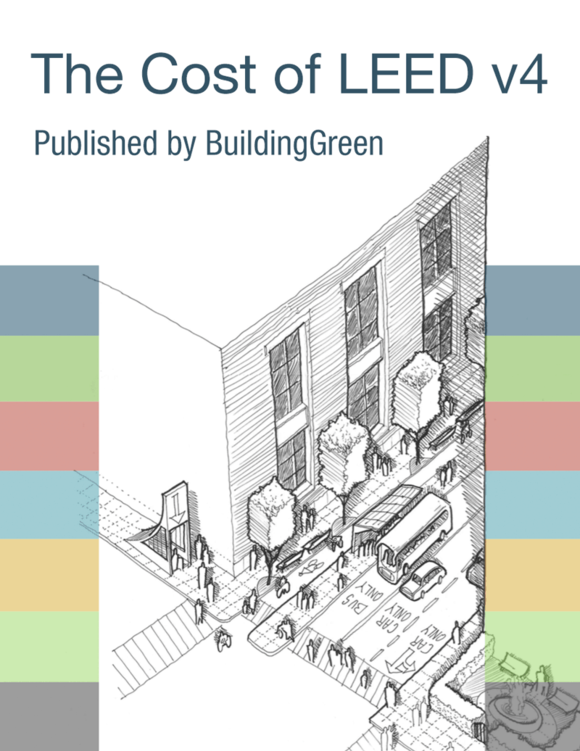 Designate 5% of all parking spaces used by the project as preferred parking for green vehicles. Clearly identify and enforce for sole use by green vehicles. Distribute preferred parking spaces proportionally among various parking sections (e.g. between short-term and long-term spaces). Green vehicles must achieve a minimum green score of 45 on the American Council for an Energy Efficient Economy (ACEEE) annual vehicle rating guide (or local equivalent for projects outside the U.S.) [Europe ACP: Green Vehicles] [South America ACP: Green Vehicles]. A discounted parking rate of at least 20% for green vehicles is an acceptable substitute for preferred parking spaces. The discounted rate must be publicly posted at the entrance of the parking area and permanently available to every qualifying vehicle. Install electrical vehicle supply equipment (EVSE) in 2% of all parking spaces used by the project. Clearly identify and reserve these spaces for the sole use by plug-in electric vehicles. Parking spaces that include EVSE must be provided separate from and in addition to preferred parking spaces for green vehicles. Provide a Level 2 charging capacity (208 – 240 volts) or greater. Comply with the relevant regional or local standard for electrical connectors, such as SAE Surface Vehicle Recommended Practice J1772, SAE Electric Vehicle Conductive Charge Coupler or IEC 62196 of the International Electrotechnical Commission for projects outside the U.S.
Be networked or internet addressable and be capable of participating in a demand-response program or time-of-use pricing to encourage off-peak charging. Install liquid or gas alternative fuel fueling facilities or a battery switching station capable of refueling a number of vehicles per day equal to at least 2% of all parking spaces. Projects in Europe may use vehicles meeting the Euro 6 limit values of Regulation (EC) No. 715/2007. A score of Four Stars or above from IBAMA (Instituto Brasileiro do Meio Ambiente e dos Recursos Naturais Renováveis - Brazilian Institute of Environment and Renewable Natural Resources) Nota Verde Program. An A from INMETRO (Instituto Nacional de Metrologia, Qualidade e Tecnologia - National Institute of Metrology, Quality and Technology) Brazilian Labeling Program for Vehicles. I have occupant and visitor parking in separate areas on our project site. Do the preferred spaces need to be located in the visitor parking as well? What if my ESVE manufacturer does not offer a demand-response or time-of-use pricing option? Can I install manufacturer-specific ESVE equipment? For example, Tesla EV charging stations? If our garage has multiple levels of parking, how do I select “preferred” spaces? Can my EV charging stations be used as my preferred spaces for green vehicles? Do the alternative fueling stations need to be in a preferred location?